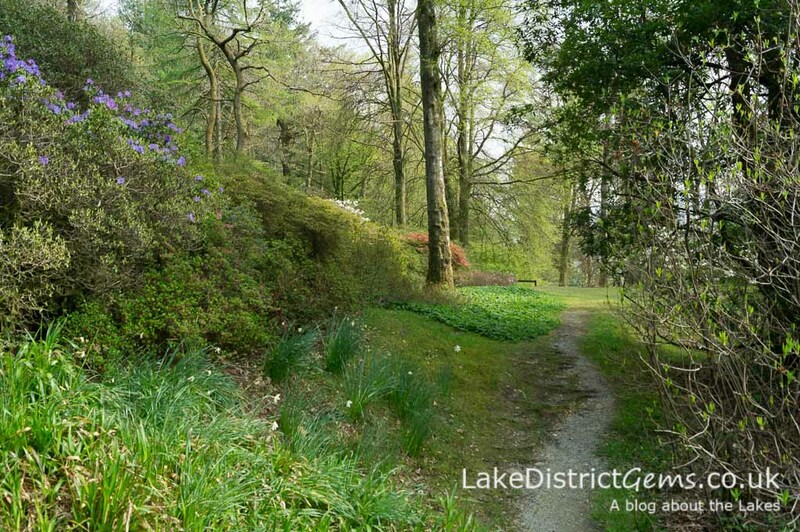 You can also see more recent images of the beautiful Stagshaw Gardens in a further post, Pictured in Bloom: Stagshaw Gardens, Ambleside. 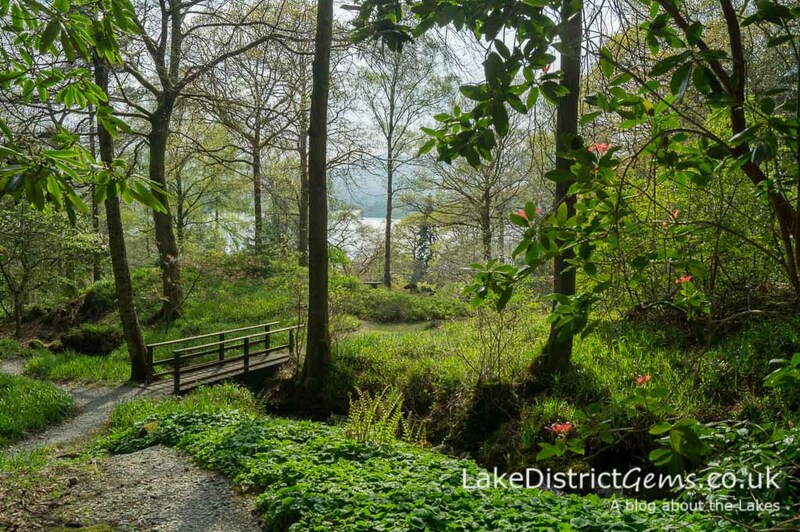 I’ve been looking forward to visiting Stagshaw Gardens near Ambleside for some time now, and it turns out the garden really is a hidden gem. 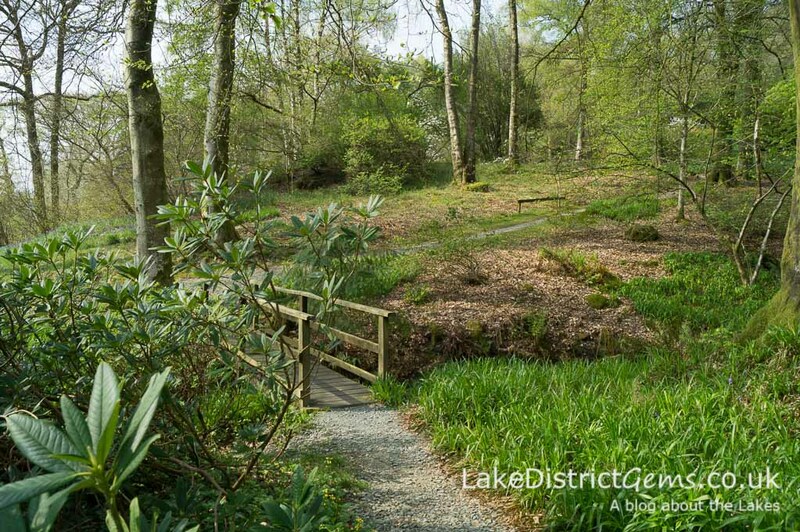 Owned by the National Trust, Stagshaw isn’t particularly well-known or publicised, but if you’re interested in woodland gardening, or would just like a quiet place to explore near to Ambleside, you’ll love a visit here. 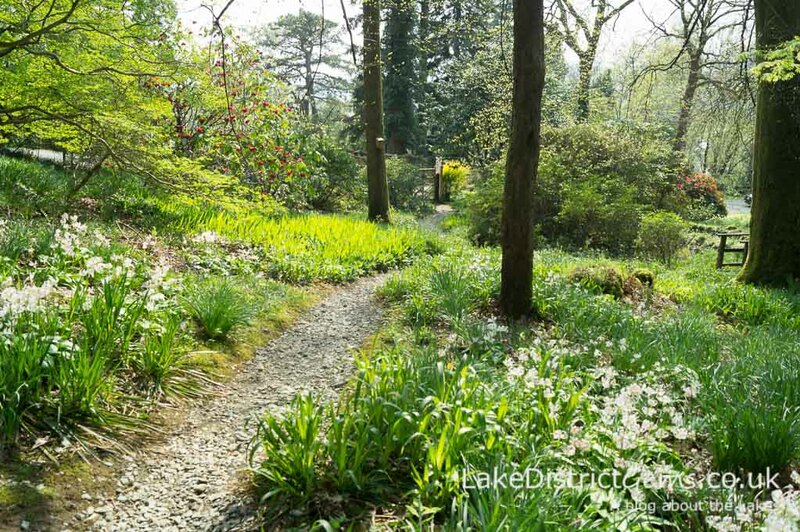 Stagshaw, an eight-acre woodland garden, was created by Cubby Acland, a former National Trust land agent who lived in the cottages at the foot of the garden. 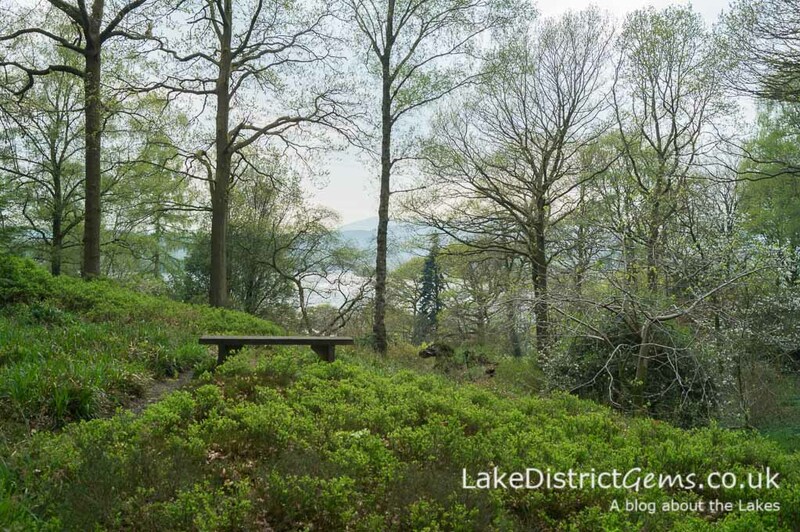 The cottages, the land where the garden now stands, and the woodland above, were passed from the Wansfell Estate to the National Trust in 1957, and Cubby created the garden from scratch between 1959 and his death in 1979. 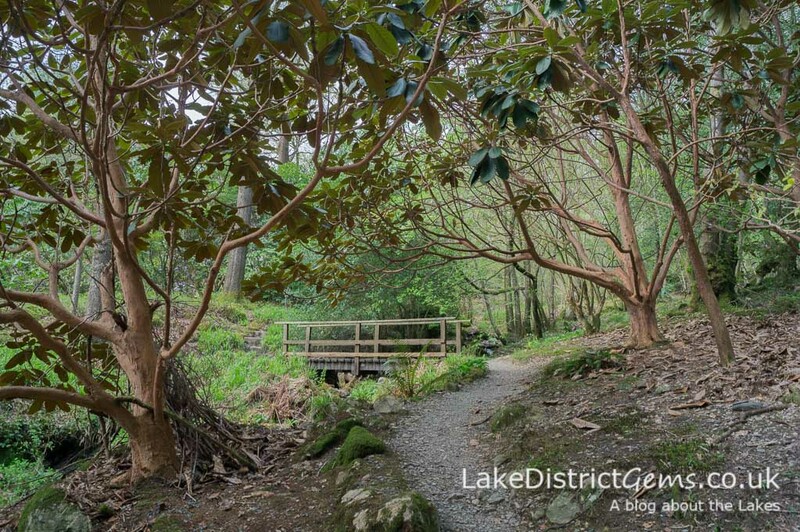 Don’t visit Stagshaw expecting it to look like a conventional garden – its beauty lies in how collections of rhododendrons, camellias, azaleas and other planting have been placed naturally around the woodland so that it looks as though this is how things should always have been. 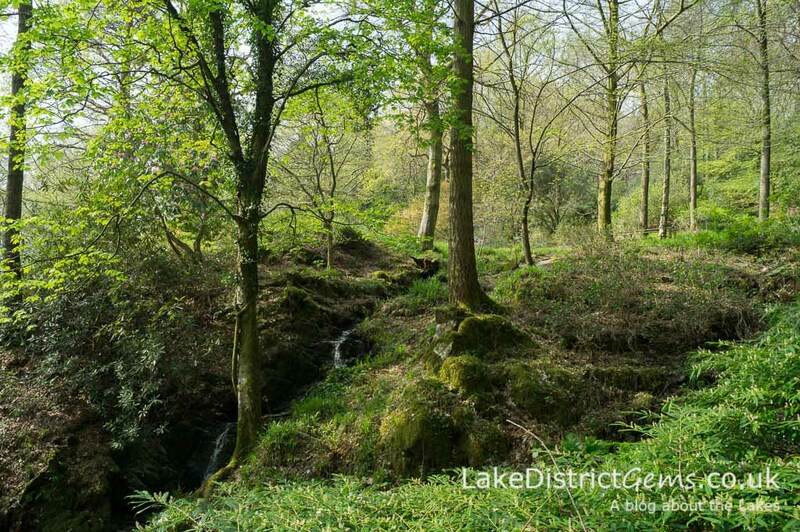 A series of footpaths lead you around the woodland and over small wooden bridges which cross the delightful gurgling beck running down the hillside. Because of the species Cubby chose to grow here, the garden looks at its very best in spring – as it turns out, I timed my visit a little bit early (these images were taken on 7 May), so although some of the rhododendrons were in flower, the best was still to come if you decide to pay a visit for yourself! Hopefully I’ll be able to go back again towards the end of May, and I’ll post some more photographs to show the garden’s progress. Apparently the garden is also very beautiful in October when the colours are changing – but after a long winter I think we should enjoy the summer first before we think that far ahead! 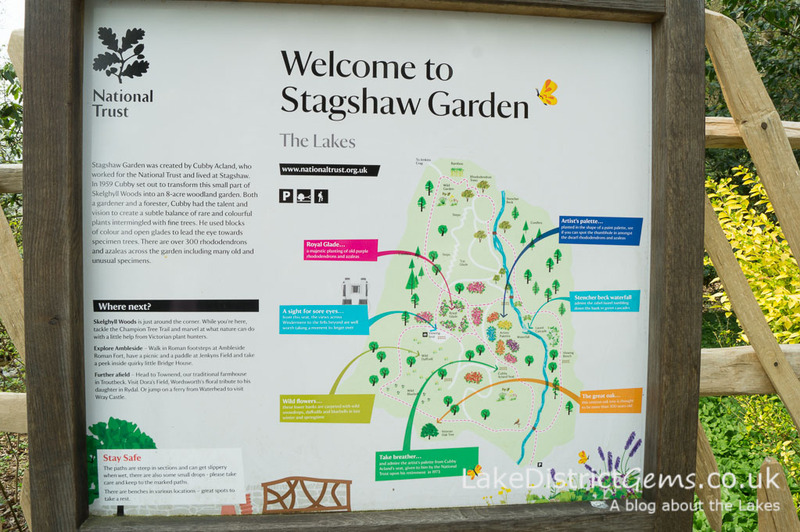 Access to Stagshaw can be a bit tricky, so I wouldn’t really recommend visiting by car if that is how you are getting about – there is space for about four or five cars up a long and narrow single track signposted from the main road, but turning room is also minimal. 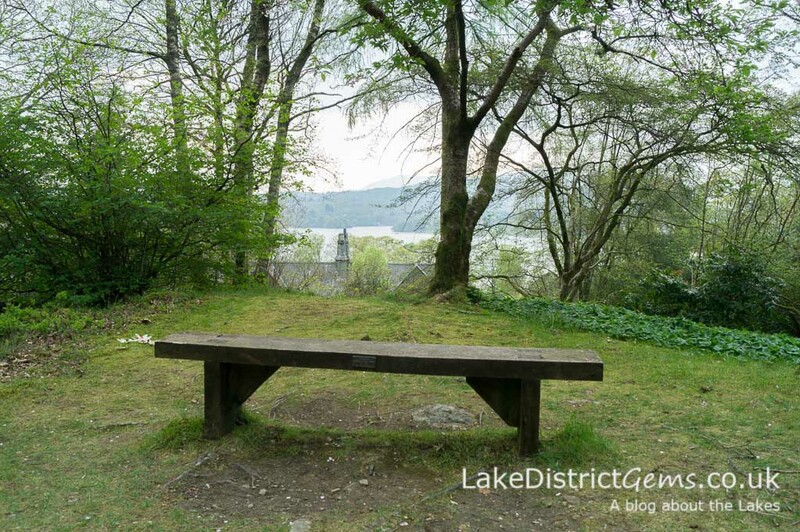 The best solution is probably to park in the public car park at Waterhead and to walk the short distance back. 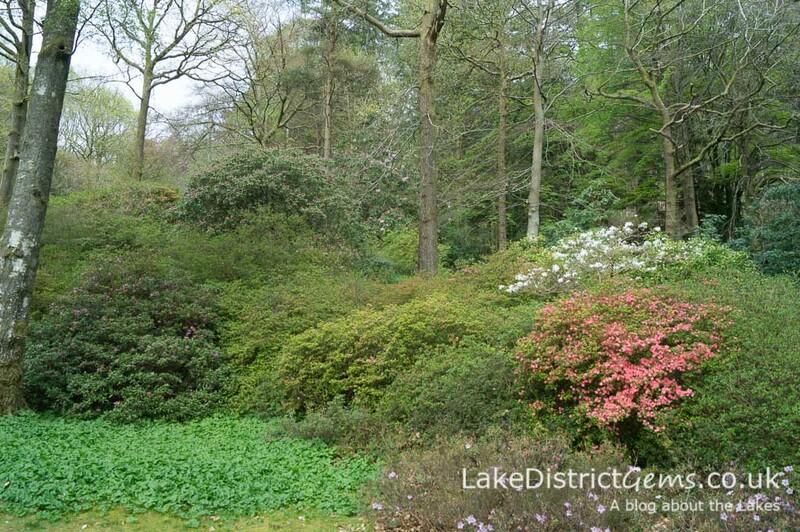 You can see more recent images of Stagshaw in my recent post which shows the garden in full bloom. 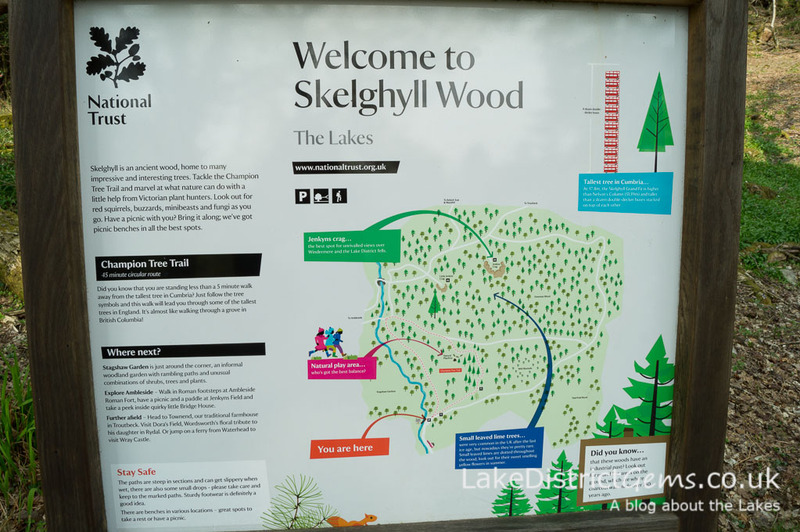 Just as we were about to leave, we went to take a look at the National Trust notice which shows a map of Skelghyll Wood, the piece of woodland on the hill above Stagshaw Gardens. And guess what? 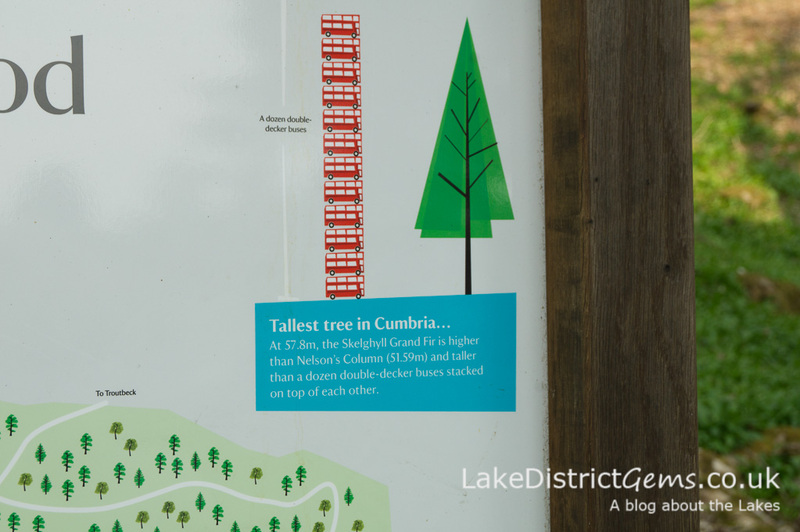 Just a five minute walk from the garden stands Cumbria’s Tallest Tree – surely we had to go and see this!? It turns out you’re supposed to take the circular route anti-clockwise and the path is then sign-posted with numbers on wooden posts. 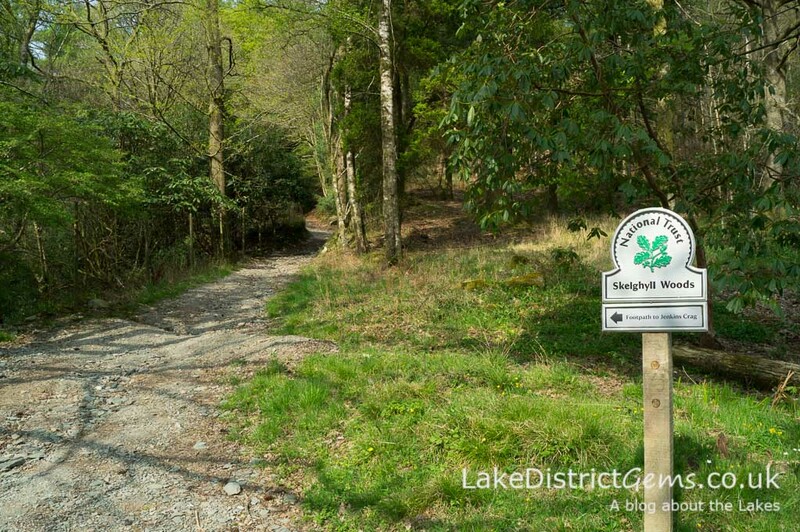 If you decide to do the circular trail, ignore the sign with the arrow that points to Jenkins Crag (as in our defence, this is what started the confusion! 🙂 ), otherwise you’ll start the route clockwise and be just as confused as we were! 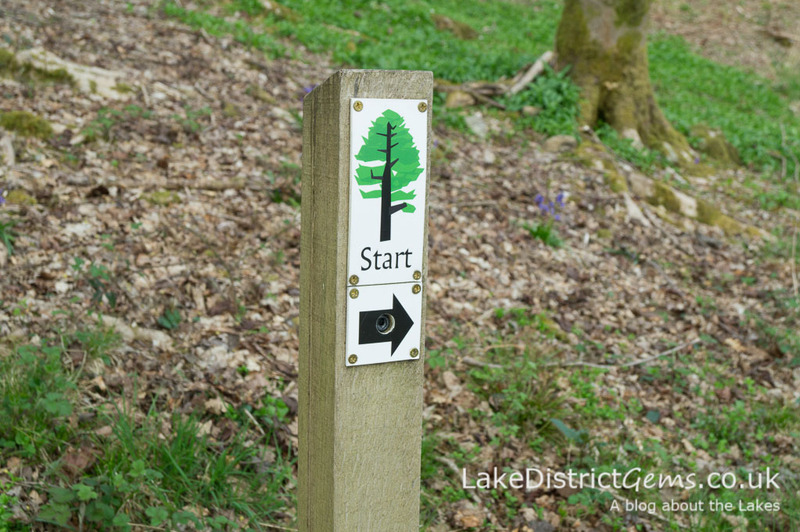 The start of the Champion Tree Trail… take note! 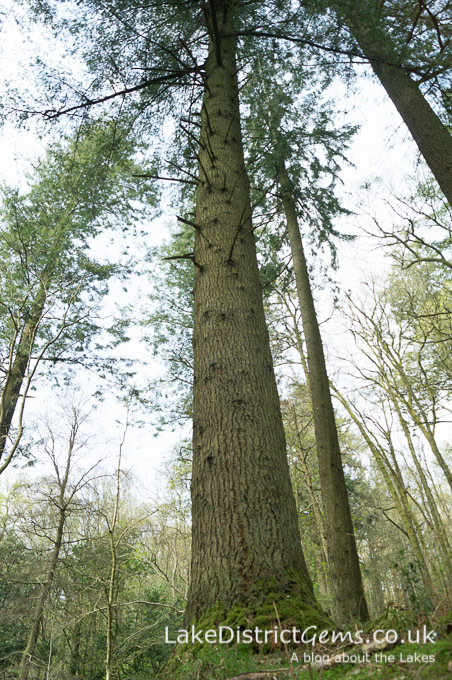 Not Cumbria’s tallest tree… but ssh, no-one will ever know! 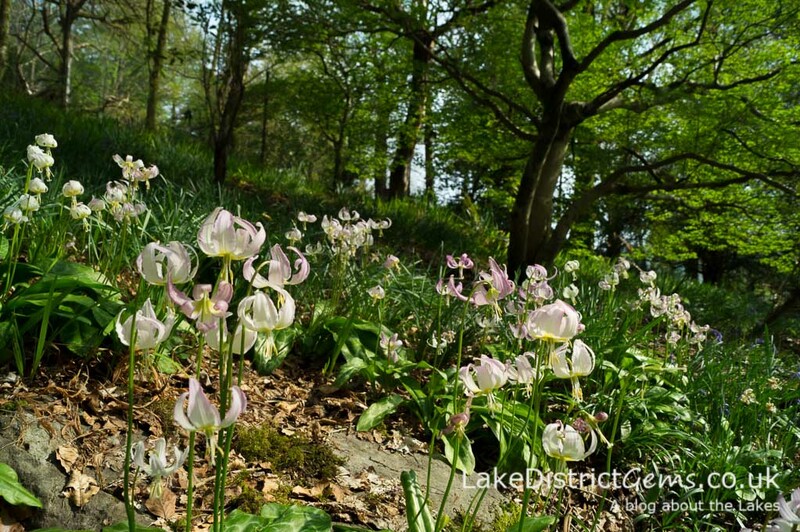 I’ve been amazed by the social media response to this article – many of you clearly love Stagshaw Gardens, so if you haven’t visited it yet, it may be a good idea to do so while the spring colours are out. 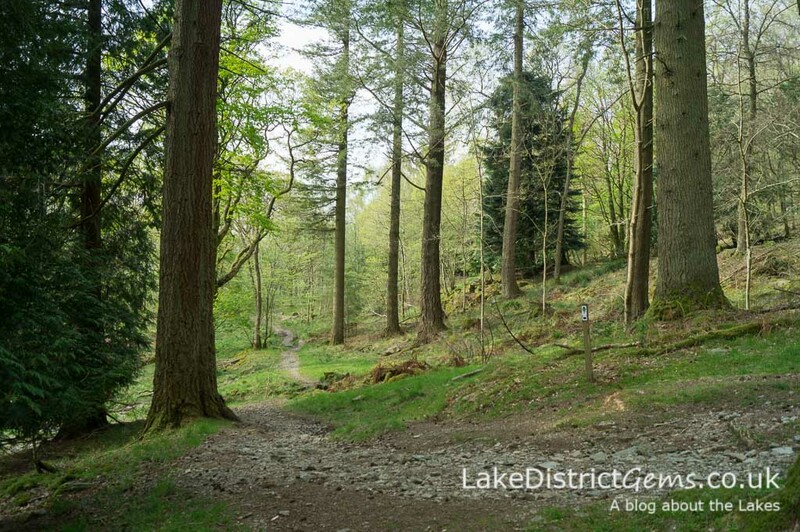 Hello Jenny, I think the nearest car park will be the Waterhead car park which is run by the Lake District National Park Authority and is just opposite the lakeside where Windermere Lake Cruises stop to collect passengers. 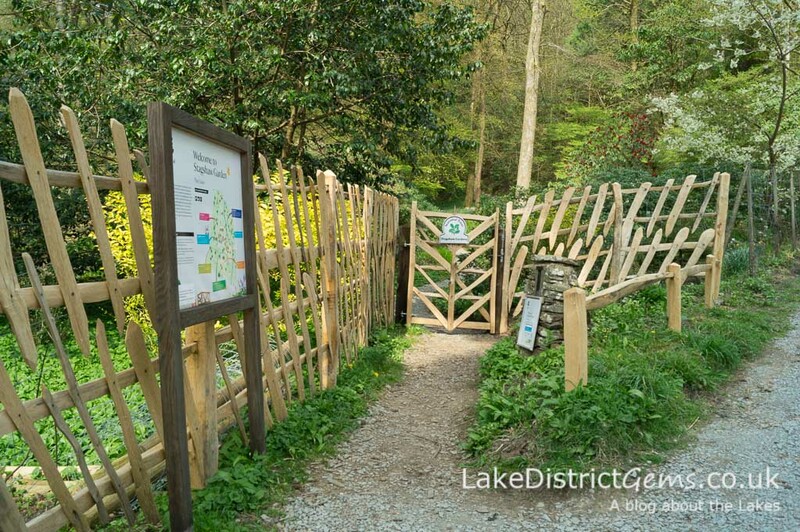 The car park details and postcode are listed on this web page: https://www.lakedistrict.gov.uk/visiting/plan-your-visit/travel-and-transport/carparks/windermere I hope that might be of help! Hi Jenny, I forgot to add that this car park is probably a half hour walk from the garden also, although it’s much nearer than the ones in Ambleside itself. I hope you enjoy visiting as much as I did!